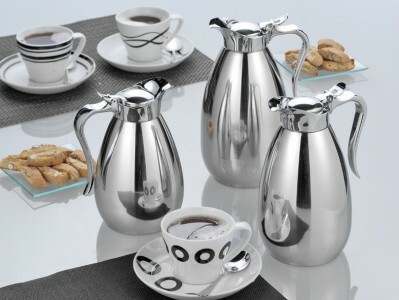 Vacuum flask PALACE, Made of stainless steel 18/8, unbreakable, Height: 235 mm, content: 1.5 litres. Vacuum flask PALACE, Made of stainless steel 18/8, unbreakable. Height:195 mm, content: 0.6 litres.